Well this is it! My last day as a GIU girl. I'm thankful for the opportunity and grateful for all of you that have taken time out of your day to visit and comment. I really appreciate your encouragement. For my final post, I chose to use some of the latest release kits. My mailbox was full of some new goodies on Tuesday, so I needed to ink them up! I received the new peony kit by Angie Blom and Lisa Arana, Rebuild Your Life, so of course I inked that immediately! 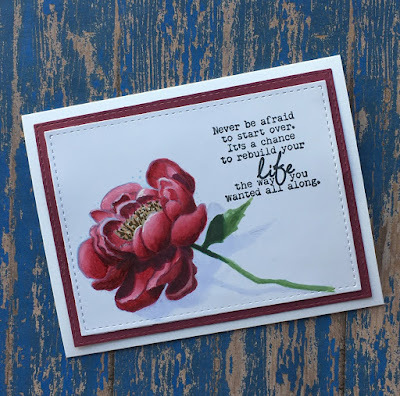 I inked this peony up with Memento Summer Sky ink and stamped on a piece of XPress It blending card. I colored with RV 81, 83, and 85, then added the deepest petal cast shadows with W5 before adding RV69 over the top of the W5. I used E55, and 77 to add the flower center, and highlighted a few areas and petal edges with a white Signo pen. The stem and leaf are G21, 24, 29, and the shadow was added last with B60. The sentiment was stamped in Memento Tuxedo Black. And lastly, I inked up a handful of these cute owl images for graduation cards. 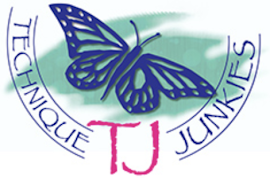 I belong to a cardmaking group at my church, and we donate our handmade cards for sale as a fundraiser to support various programs and needs within the congregation and community. I love being able to help in ways that I enjoy so much. Graduation cards are huge sellers, so I wanted to get started on a pile of them. The new Stamp Kit, Owl Graduate, also designed by Lisa Arana, was perfect to make a set of cards. I stamped several on the images on and colored them with Copic markers. I added Clear Wink of Stella pen over the cap base and stole to make them look like satin. 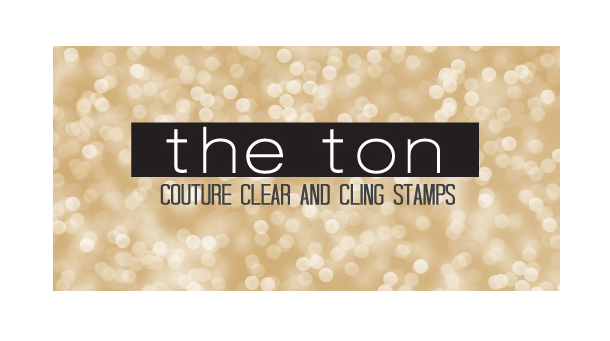 The sentiments were stamped separately and layered with the matching layering paper. And that's it for my GIU week! I have enjoyed this week very much, and have been honored to share my love of Unity Stamps with you. Thank you for visiting, and I hope you'll stop by again soon. 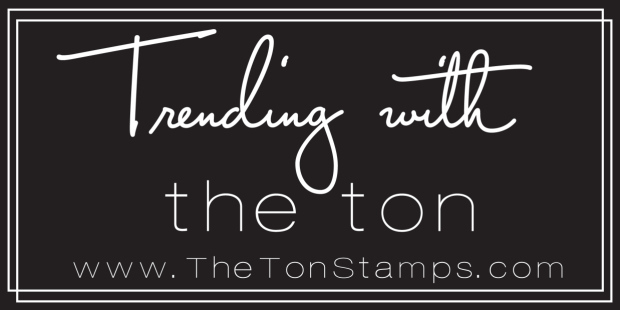 Don't forget to comment if you'd like to be entered for the prize pack from Unity Stamps! Today's your last day, too! Perfect again. The satin detail on the owls is just lovely. Your colouring is stunning! All of your projects this week were great! Oh I love all of these cards! More beautiful images! I am in awe of your coloring! Thanks, Chris, for sharing your Unity creations! Wow! These are all beautiful! I want to color like you do when I grow up! Thanks fir sharing your talents. Your coloring is so amazing. I love how you put the colors and how you did it even though I can't begin to make mine look like that. The shadow under the flower is a great touch. I also like the idea of your church selling cards like that and it gives me ideas of things our church could do. Flower is so beautiful! And that owl is adorable:) All the cards this week have been so amazing! you have gone out with a bang with your beautiful cards today. The card is beautiful! Your coloring is incredible. It almost looks like s photo. Stunning work! Such a gorgeous peony flower, great coloring work! And those owls are adorable! I really enjoyed following you this week. Your coloring is amazing and I absolutely love the card donation idea. Thanks for a great week and I hope your daughter had a great time studying in Michigan. Love this stamp and your colouring. Thanks for a beautiful week of images. Great cards and that rose is stunning! Your coloring is amazing! All of your projects have been wonderful this week! You are truly talented, I envy it. The peony card is colored beautifully. Wonderful cards as always. Beautiful coloring! Love the wink of Stella on the owls! Where did you learn to color the way you do? Did you take classes some where or is it just self taught? You have done a great job this week. Thanks for sharing your talent with us. So beautiful. It makes me wonder what it would be like to see the world through your eyes. Thank you for a gorgeous week, Chris. It's been fun following you this week. Your creation are so wonderfully colored! This has been a fun week - and peonies are one of my personal favorites! Is XPress It blending card something special, or just a type of watercolor paper? Thank you! Your coloring is amazing. All your cards are beautiful. Thank you so much for sharing with us this week. Beautiful. ENJOYED all your cards this week. Oh how fun! I love owls. I may have to get this guy for next year - 3 graduations! Thanks for a fun, inspirational week. They had a beautiful release! 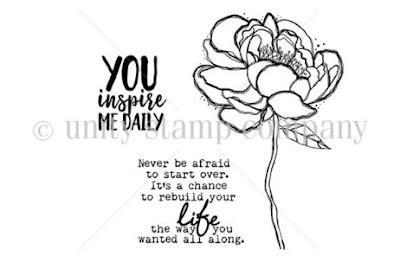 I love your coloring on the Rebuild Your Life card. I had a great time following you these few days and Ill be sure to stop back and check your blog more often. 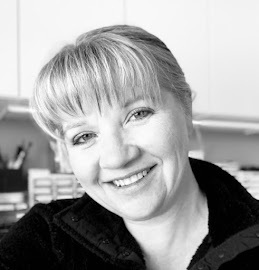 Thanks for taking you passion and sharing it! OH my! The red flower is utterly GORGEOUS! Gorgeous coloring of the peony image, Chris! Fun set of graduation cards. So much talent! I can't believe how beautiful that flower is! It has so much detail and shading and blending. You have some serious talent girl, thanks for sharing with us all week. Wow, beautiful!! I love the flower. The owl is so darned cute. You posted some amazing cards this week Chris. Your colouring is amazing!! I am in love with your flower card. 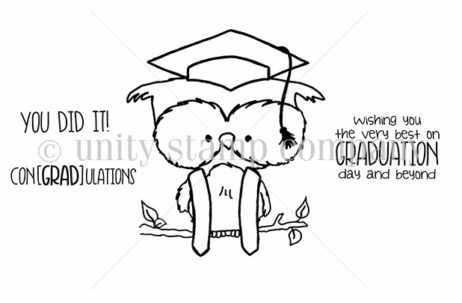 The little graduation owl cards are so fun and sweet, too. Thank you for an AWESOME week of inspiration!!! Once again, your coloring skills amaze me! The cards are great. Absolutely beautiful - both of these Cards! The flower 🌺 is stunning. You have such a talent in coloring to make objects look real. Wonderful week! Gorgeous! Your flower card is spectacular. 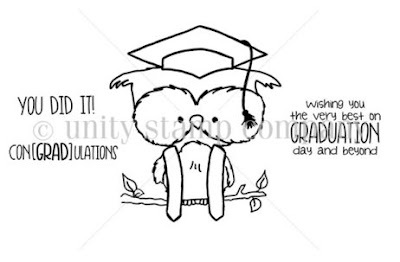 your graduation owl cards are just as cute as can be! what a fun group to belong to and for such a great cause, too. :) your flower is just gorgeous! you have a gift with coloring images, that is for sure!!! thank you for a wonderful week of inspiration! What a fun group to belong to. I love those owl graduation cards. The flower is wonderful! Thanks for sharing your Unity love and leaving so much inspiration. The peony is absolutely stunning! Your coloring skills are beyond amazing. Thank you for sharing your creations with us over this past week. Wow! Your coloring skills are just so awesome! This is one of my flower stamps. So beautiful! Also love your owl cards so cute and thanks for sharing them with us all. This week was fun thanks. Absolutely stunning flower! And the graduation owl is adorable! I am in awe of you coloring skills. Thanks for sharing your creations with us this week! Wonderful week... Wonderful Stamping... Amazing artist! Thankyou! I have so enjoyed looking at your beautiful work,using the Unity Stamps. I feel like I have really been inspired to try new techniques and different things. WOW the coloring on the rose! Amazing. Your coloring is still amaxing to me! What a cool idea to provide cards to sell for your church. I should do that. Thanks again for sharing. It was a great week! Love that gorgeous flower and the cute set of owl cards!